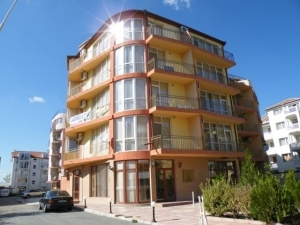 Studio apartment for sale located in Sunny Beach, Bulgaria, complex Ryor - Downtown, suitable for living. 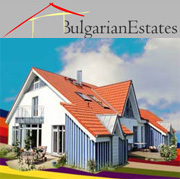 Ryor complex is located in the central part of the biggest Bulgarian resort - Sunny Beach. Just 100 meters from the hotel "Kuban" (considered the top center of the complex) and 250 meters from the beach, "Ryor" gives you everything the resort offers, in close proximity. Vital institutions such as police, hospital, post office and banks are located less than 500 meters from the hotel, which reduces the need to use vehicles. Airport "Sarafovo" (District) is located 30 km from Sunny Beach. The complex is built in 2007 and it has authorization for use (App. 16). Studio apartment is for sale. It is furnished with beds, wardrobe, kitchenette, TV, air conditioner and a bathroom. The living area is 30 sq. m and the apartment is on the fifth last floor. There is an elevator. 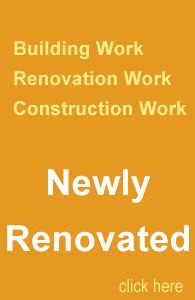 The complex offers a swimming pool, lobby bar, restaurant, and convenience store, very convenient location.